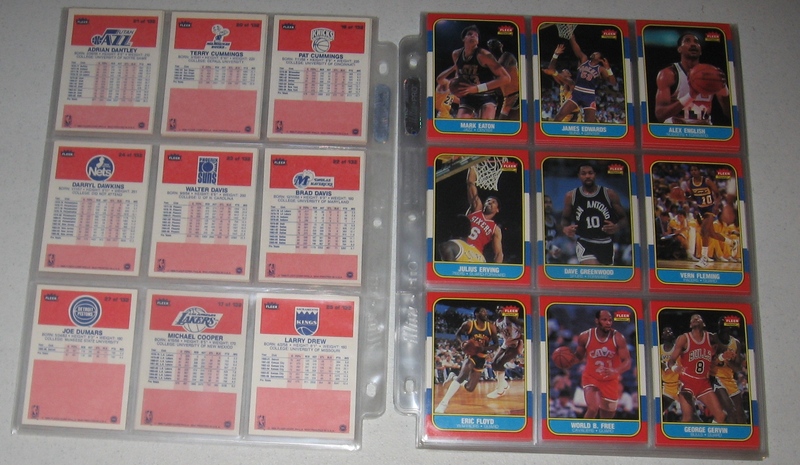 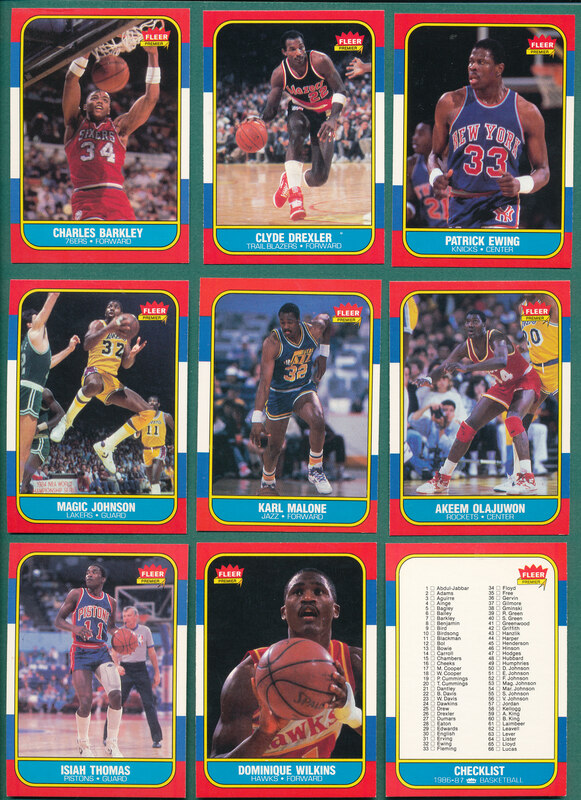 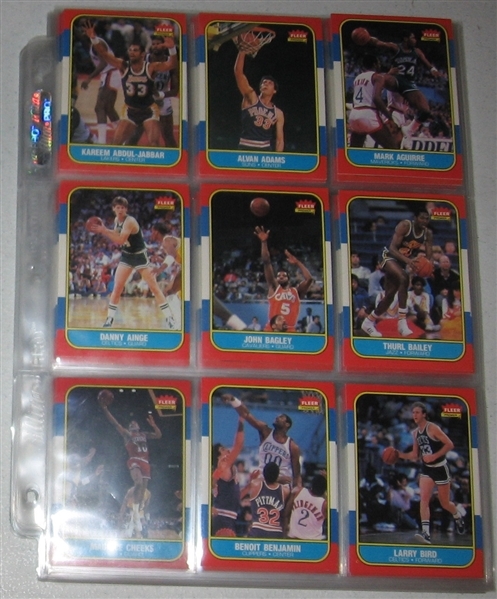 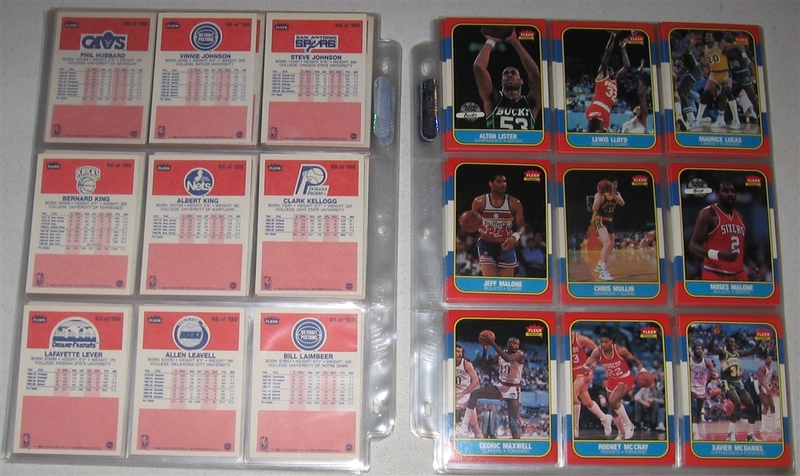 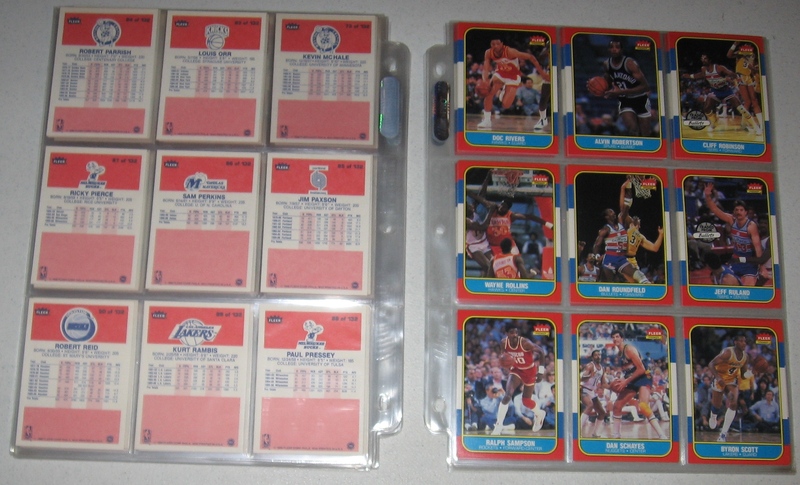 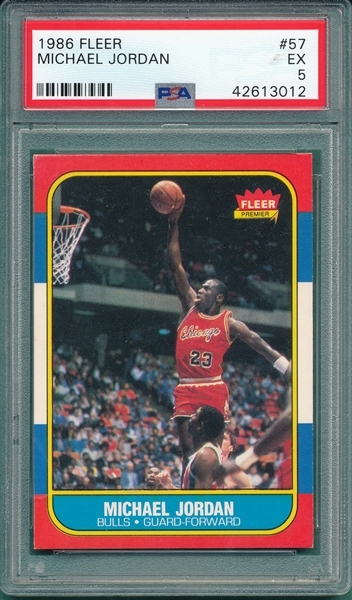 Complete set of 1986-87 Fleer basketball (132) includes many rookie cards including Barkley (small part of top edge not flat), Drexler, Ewing, Malone, Olajuwon, Isiah Thomas, Dominique Wilkins and more!!! Highlighted by Michael Jordan PSA 5. 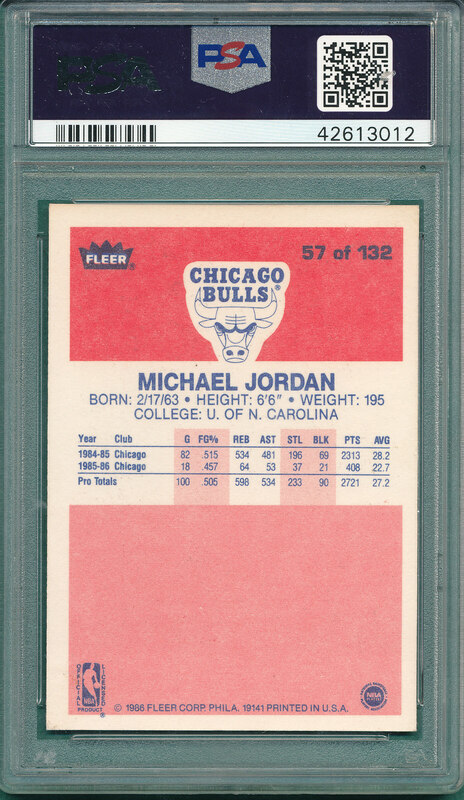 The set is NRMT/MT (unless noted) with nice centering.